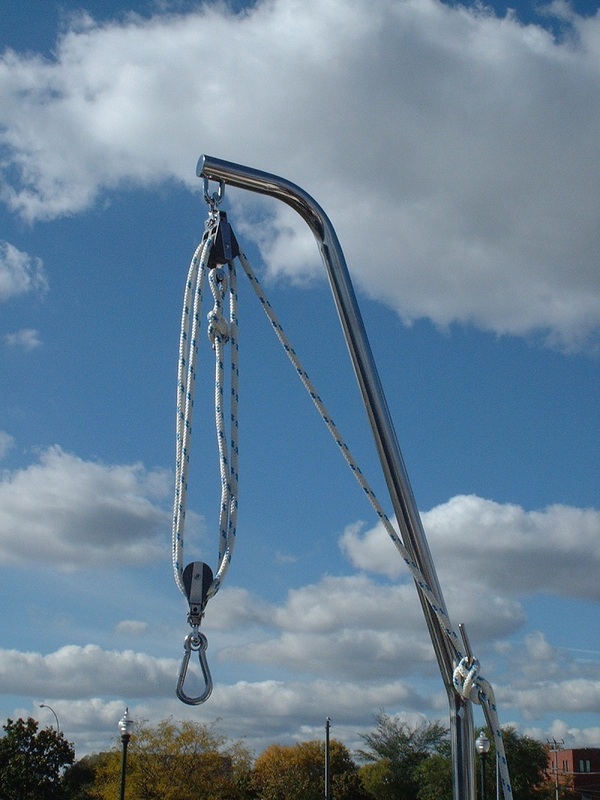 Capable of lifting any object up to 120 lbs easily with a 4 to 1 purchase. 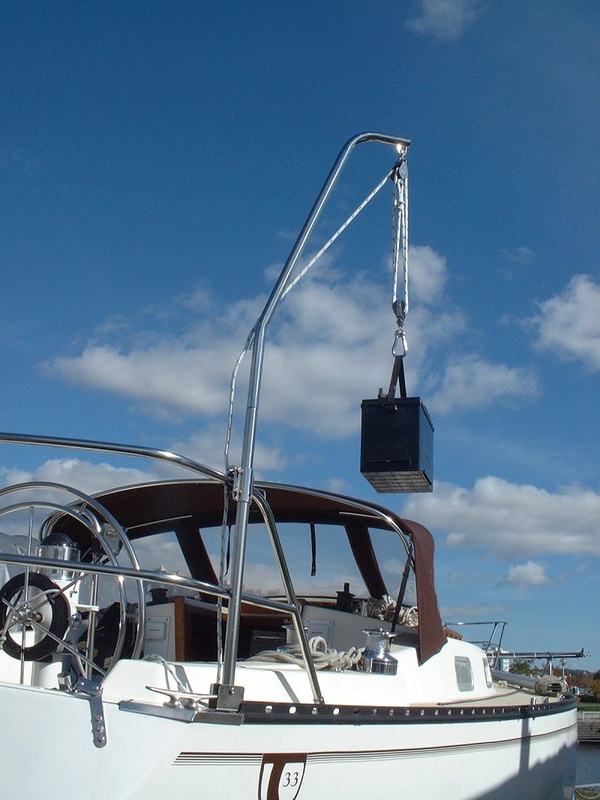 The handi-lift can instantly be removed from it’s lower mounting tube for storage and the lower tube becomes a holder for umbrellas, fishing rods etc. 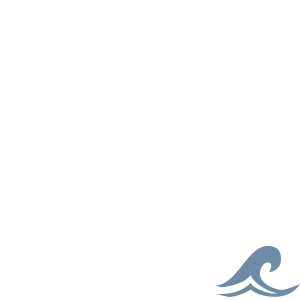 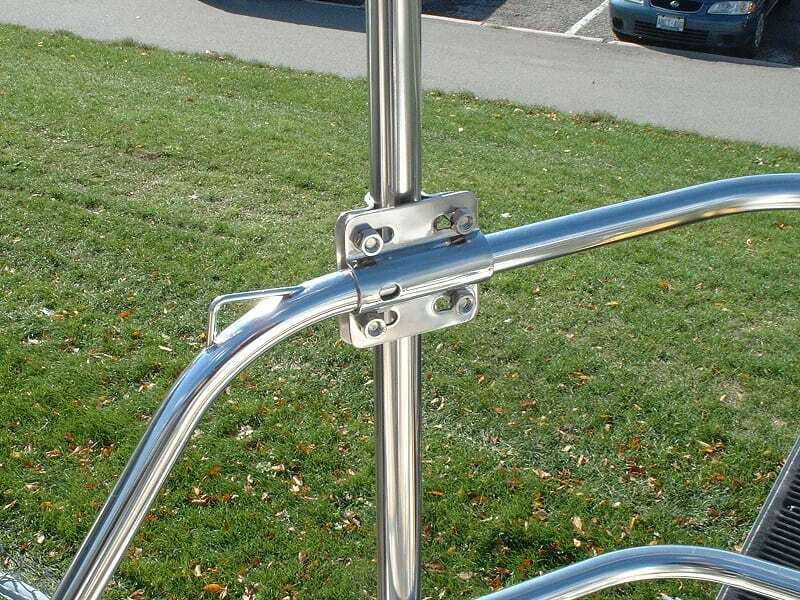 The base is universal, designed to mount on a toerail or any surface. 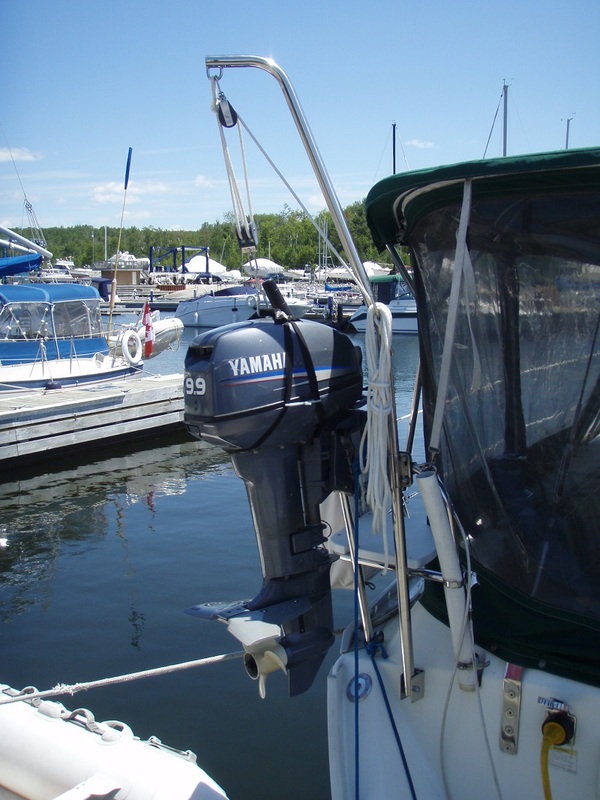 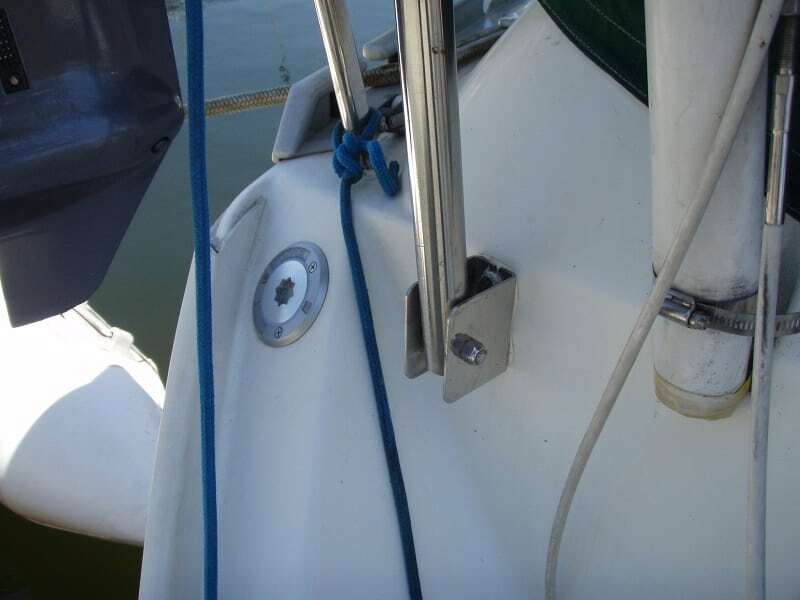 A sturdy rail clamp holds the hand-lift firmly to the stern rail.